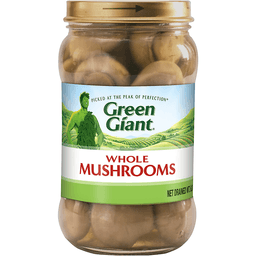 Green Giant® Whole Mushrooms. 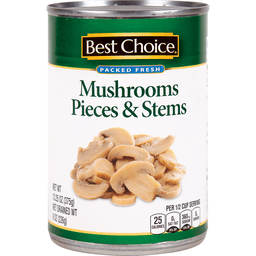 Picked at the peak of perfection®. Net Drained Wt 6.0 oz (170 g). 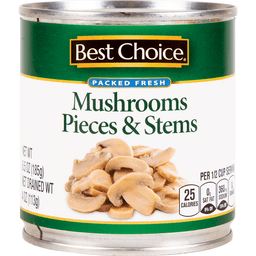 Exchanges: 1 Vegetable. 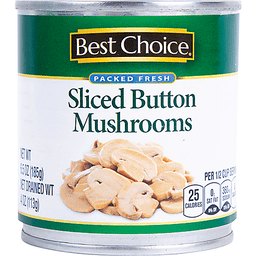 Questions or Comments 1-800-998-9996 Mon - Fri 7:30 a.m. - 5:30 p.m. CT (Please refer to code numbers on lid). 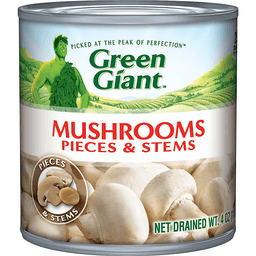 See how we lock in freshness at www.greengiant.com. 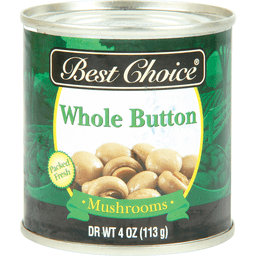 © 2011 General Mills. 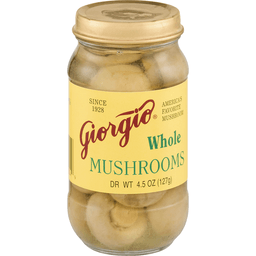 Giorgio® Whole Mushrooms. Since 1928. 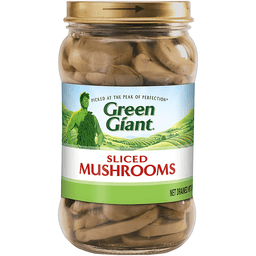 America's favorite mushroom. Glass recycles.